The Mardles Magic Masks have landed! Step up your selfie game and transform into one of 20 exciting characters. 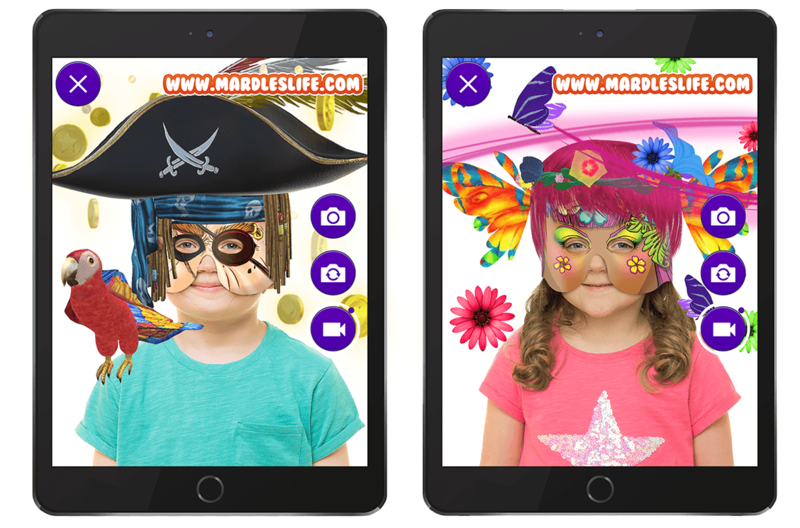 After months of quietly working hard on this project, we were delighted to finally announce that we would be launching a range of 20 Augmented Reality ‘Magic Masks’ in collaboration with the lovely folks at Mardles earlier this year. Now that the products are finally hitting the shelves, we thought it was about time we explained what makes these masks so special. If you haven’t already heard of Mardles (have you been living under a rock?) they are a UK based childrens toy brand taking the industry by storm. Using augmented reality technology they are putting a unique and interactive twist on many kids favourites such as stickers, colouring books and now masks – with more products on the way very soon. You can read more about our existing work with Mardles here. 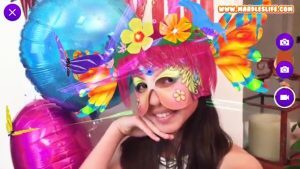 Mardles Magic Masks come in 20 different designs. From wild animals to mystical creatures, the range has a mask to suit everyone and each one does something completely unique and exciting. The masks are adjustable in size (they fit adults too) and are made of a durable yet flexible plastic which allows them to be easily wiped clean and used time and time again. Extremely flat and lightweight, these masks make for a fantastic stocking filler, party favour or gift to keep the little ones amused whilst travelling due to the fact that they work with a wide range of smart devices using a free app which requires no data connection after the initial download. Each mask works with the Mardles smart device app and uses in built cameras to recognise the unique designs. The app then uses this information to trigger wonderfully wacky 3D representations of the illustrated characters on screen. Users can then watch the 3D content come to life and animate around them as they move. Plus, users can tap the screen to interact with their masks and take photos and GIFs to share with friends. The app can even work with up to 4 masks at a time which makes for some hilarious group shots! 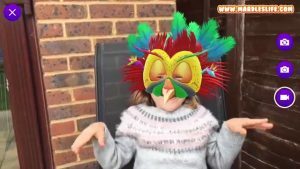 The masks are now available from https://mardleslife.com/universe/magic-masks/ and Amazon.